Preparing for RBI Officers and IBPS RRB PO and Clerk Examination!! Don't miss the GA Quiz. 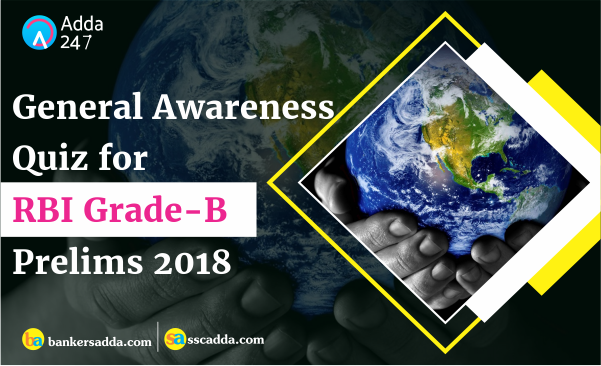 One section that can help you bagging graceful marks in these examinations is General Awareness, that comprises of numerous sections like Banking Awareness, Static GK, and Current Affairs. 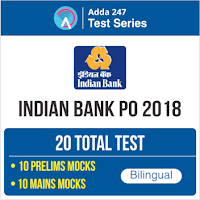 Here is the quiz on General Awareness that is being provided by Adda247 to help you ace graceful marks in IBPS RRB PO and Clerk Examinations. Not only this, these quizzes will also prove propitious for the upcoming RBI Grade-B Officers Exam. Q2. Which state government has launched a "Business First Portal" recently. Q3. Name the state government, which has decided to do away with semester system in undergraduate (UG) courses and revert to annual examination system recently? Q4. Minister of State for Defence, Dr Subhash Bhamre has dedicated a highway tunnel at Theng near Chungthang in north ___________ to the nation. In the first phase of the National Company Law Tribunal, Ministry of Corporate Affairs have set up eleven Benches, one Principal Bench at New Delhi and ten Benches at New Delhi, Ahmadabad, Allahabad, Bengaluru, Chandigarh, Chennai, Guahati, Hyderabad, Kolkata and Mumbai. These Benches will be headed by the President and 16 Judicial Members and 09 Technical Members at different locations. Q7. The NCLAT was constituted under Section 410 of the Companies Act, 2013. 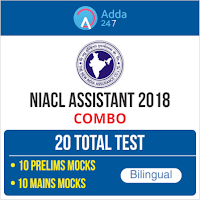 What is the meaning of "A" in NCALT? National Company Law Appellate Tribunal (NCLAT) was constituted under Section 410 of the Companies Act, 2013 for hearing appeals against the orders of National Company Law Tribunal(s) (NCLT), with effect from 1st June, 2016. Q8. Reserve Bank has stated that interest subsidy scheme on short-term crop loans of up to ___________ rupees will be implemented through the DBT mode from the current financial year. Q9. RBI has made changes in the Gold Monetisation Scheme (GMS) to make it more attractive. In which year Gold Monetisation Scheme was launched? RBI has made changes in the Gold Monetisation Scheme (GMS) to make it more attractive. The revamping of the scheme is aimed at enabling people to open a hassle-free gold deposit account. Gold Monetisation Scheme was launched in November 2015. Q10. Minister of Youth Affairs and Sports Rajyavardhan Rathore has approved the upward revision of pension to meritorious sportspersons. Following the upward revision of pension, the medallist at the Olympic/Para-Olympic Games will get-? Minister of Youth Affairs and Sports Rajyavardhan Rathore has approved the upward revision of pension to meritorious sportspersons. Under the revision, the rate of pension has been doubled of the existing rate of pension on winning medals in international sports events. Following the upward revision of pension, the medallist at the Olympic/Para-Olympic Games will get Rs.20,000 while a gold medallist at World Cup/World Championship in Olympic and Asian Games disciplines will get Rs.16,000. Q11. Who has become the first batter from India to score 2000 runs in T20I cricket? Indian cricketer Mithali Raj has become the first batter from the country to score 2000 runs in T20I cricket. She achieved the feat during India's Women's T20 Asia Cup match against Sri Lanka in Kuala Lumpur. Mithali has now scored 2015 runs in 74 T20Is with the help of 14 half-centuries. She has a decent average of 38.01 with the highest score of 76 not out. Q12. The International Day of Older Persons is observed on? Sol. The International Day of Older Persons is observed on October 1 each year. On December 14, 1990 the United Nations General Assembly voted to establish October 1 as the International Day of Older Persons as recorded in Resolution 45/106. The holiday was observed for the first time on October 1, 1991. Q13. Mahakaleshwar Jyotirlinga is one of the most famous Hindu temples dedicated to Lord Shiva and is one of the twelve Jyotirlingams, which are supposed to be the most sacred abodes of Lord Shiva in which of the following state? The International Day of Older Persons is observed on October 1 each year. On December 14, 1990 the United Nations General Assembly voted to establish October 1 as the International Day of Older Persons as recorded in Resolution 45/106. The holiday was observed for the first time on October 1, 1991. Q15. Name the player, who's phenomenal batting form has fetched him the BCCI's best cricketer award for two seasons?